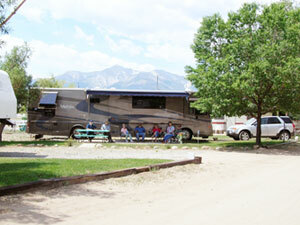 Valley RV Park, is conveniently located two miles north of Buena Vista, Colorado. 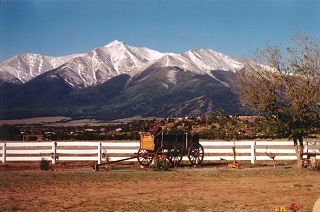 Four wheeling trails, fishing, mineral hot springs and many other fun outdoor activities are nearby. Same Owners for 25 years. 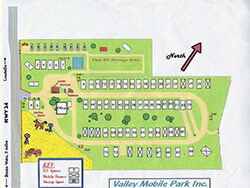 Our prices are less than most area R.V. parks because of no mortgage payment. We still offer full amenities and nice spaces. 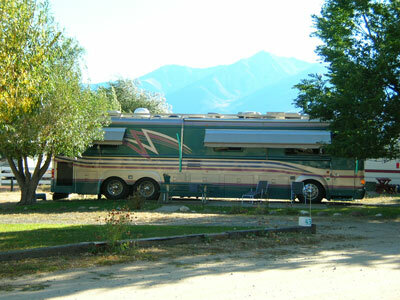 We are open for R.V. 's from April 1 through October. Our spaces are the best around! They are large and level with patios, lawns and most have shade trees. All spaces have full hookups with 50 amp electrical hook ups at no added cost. 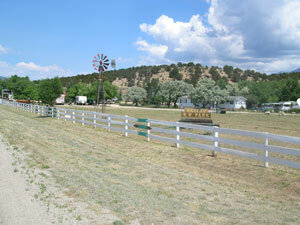 Shower, laundry, clotheslines and telephone facilities are conveniently located. FREE WiFi available at each space. Pets welcome with restrictions. 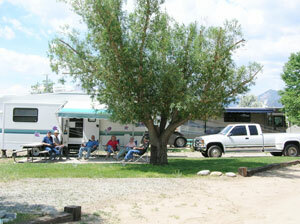 Weekly activities include a Tuesday morning coffee hour and Sunday evening campfire gatherings at our clubhouse. Planned cookouts are held on Father's Day, July 4th, Labor Day - unplanned potlucks in between. ** Plus monthly electrical rate of 16 cents / KwH. No discounts for storage & electrical charges. Cancellations must be received 4 days before your scheduled arrival or you will be charged for one night. All other original material, photographs, logos, HTML code and server side programs are Copyright © Global Vista Technologies, Inc. dba VistaWorks. All Rights Reserved.